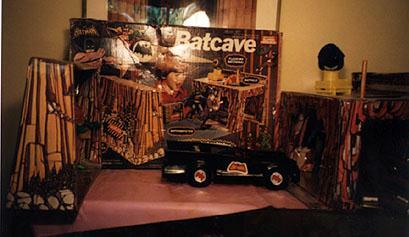 The Batcave seems to be the one most of us had. I know I had a lot of fun with mine. This is the ad from Ward’s Christmas Catalog provided by Brian Heiler. 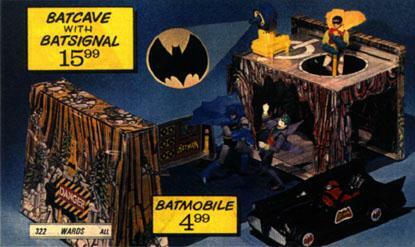 The Batsignal was definitely the hot feature of this playset. The cardboard computer was, and remains undeniably lame. This playset design was recycled as the POTA Village Playset. At least THAT came with a jail. 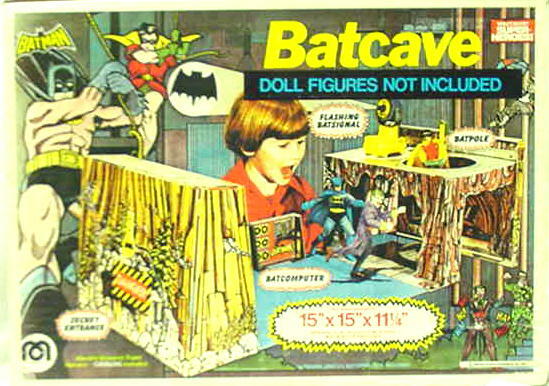 The Batcave could have used one. This is of course, still a beautiful display piece. 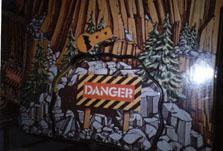 I recall that the latch (orange vinyl-wrapped carboard-see BELOW) to the entrance of my Batcave was broken immediately when a Birthday party guest crashed the Batmobile through the entrance without unlatching it. It was a very Adam West exit, but the latch was useless afterwards. Rob Chatlin Provides a boxed shot, there are two sizes of boxes. 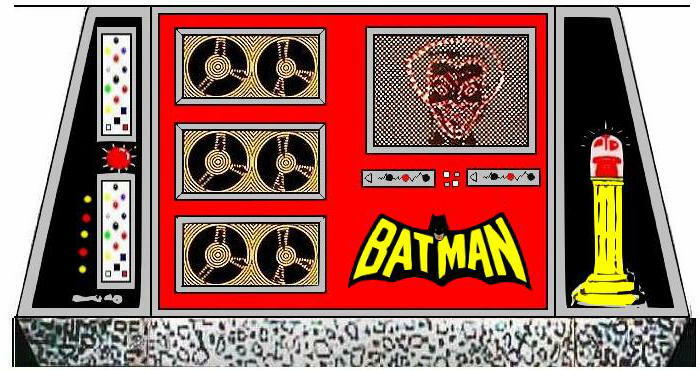 Need a Batcomputer? print this image out for a quick repro fix!